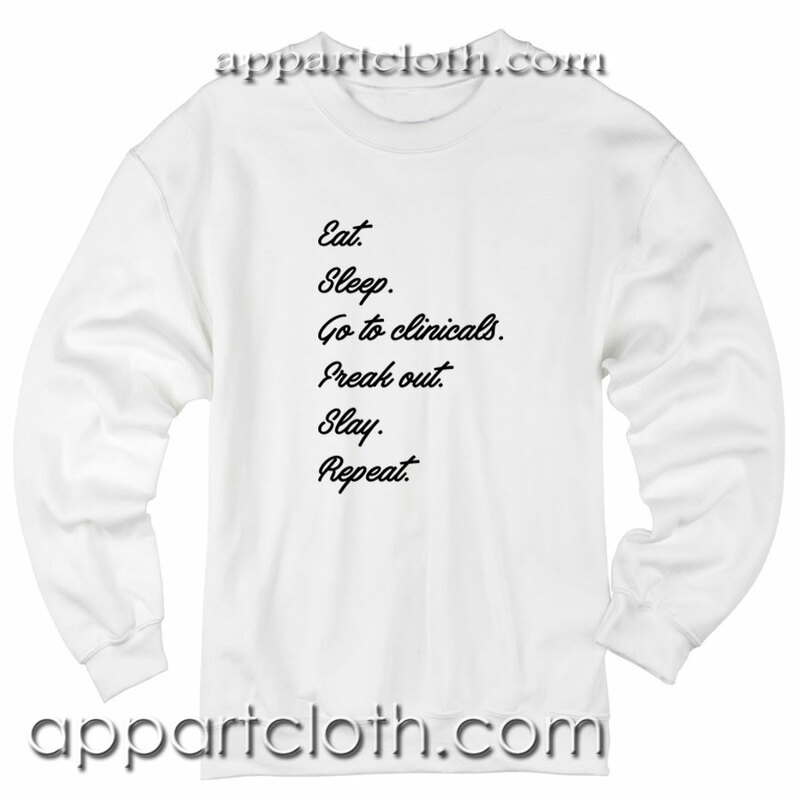 Eat Sleep Go To Clinicals Sweatshirt size S,M,L,XL,2XL,3XL.They are an original inspired design. The words used in the title and or search terms are not intended to imply they are licensed by any rights holders. International Shipping should take 1-3 weeks to be delivered after being shipped. However, delays can occur in transit, so it’s possible that your order may take up to 1 month to be delivered.Shipment usually takes longer during Holiday Period (eg: Chinese New Year and Christmas). Estimated will arrive after 1 month shipped.Please be patient while waiting your shipment. 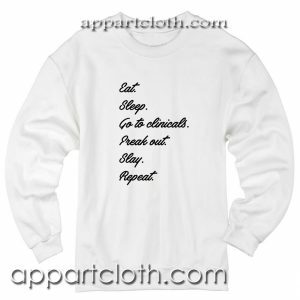 – Please contact me immediately if you are not fully satisfied with your purchase. So I will try my best to resolve your concerns. – Guarantee 30 days your money back after we received damage/defected item. – Shipping/handling charges are non-refundable. – Shipping Charges of Return Item are buyer’s responsibility.